Reinvention has been at the heart of everything that Bappi Lahiri — who turned 65 on Tuesday — has done in his 50-year journey in showbiz. The celebrated singer-composer, who introduced synthesized disco music in India and has taken Indian sounds to the world, is now set to don the director’s hat for a feature film. Bappi had earlier helmed a documentary “Slumstars”, but his new project will be in the fiction space. It is titled “Ek Adhura Sangeet”. “I always think I should keep doing something every year. This time, I will begin a big journey as a director of a feature film. It’s a huge journey,” Bappi told IANS over a recorded response from Mumbai. On “Ek Adhura Sangeet”, he said: “Like the song ‘Zindagi mera gaana, main isi ka deewana… I am a disco dancer’… Without music, people’s lives are incomplete… Music can bring happiness in life. So, this is a journey that I am beginning.” He said the subject of his film is “very good”. “After doing 600 films across Hindi, Bengali, Telugu, Tamil, Oriya and Gujarati languages, I have gained a lot of experience. So, I thought I should give it a try. Maybe it does well. My wife Chitrani had produced ‘Lal Darja’ which won a National Award in 1997… Whatever film I make, it won’t be average. I can’t say it will be a superhit, but nobody will say it’s a bad film. I am confident I will make a good film, whether it works or not,” said Bappi. Bappi also hinted at doing “something” in Hollywood. “My son Bappa and I are working with a Latin group,” he said, adding that one never knows he may just be directed by a Hollywood filmmaker. 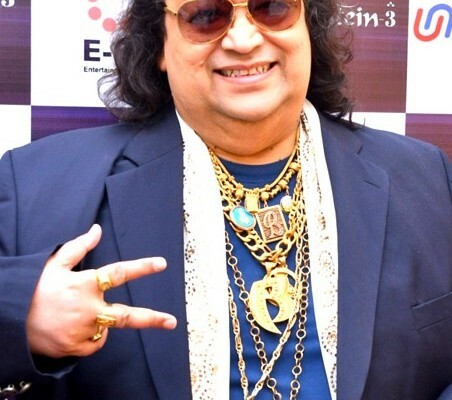 Adding another feather to his hat, Bappi has also written a book titled “World, Peace, Love and Harmony: We Are One”. “It has good words like ‘our color of blood is one’, ‘our emotion is one’… It’s all in the form of poetry,” said the “Ooh la la” and “Tamma Tamma” singer, who is proud of his journey in the film industry and beyond. “The journey is still on… The public loves me so much. I perform all over the world. I am not just a composer, I am also a singer. I sing with the public one-to-one, and it feels so good when the public, including youngsters, sway to and sing along songs that were made 20-25 years ago. “I performed ‘Chalte chalte mere ye geet yaad rakhna’ at a recent event. I sang and the public joined in with the words ‘Kabhi Alvida naa Kehna’. It was beautiful,” he said of the evergreen track, sung by Kishore Kumar and penned by Amit Khanna. 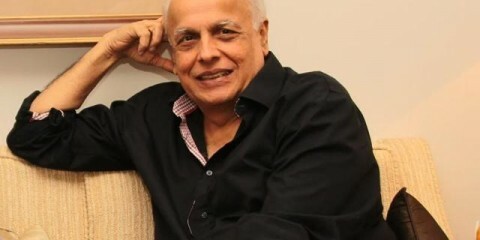 He said while it is very difficult to choose a favorite song from his discography, “Chalte chalte…” is special as “it feels like a Bollywood anthem”. Tracing his glorious journey that has spanned generations, Bappi, who has even collaborated with international artists, said: “From Dev Anand to Dilip Kumar to Varun Dhawan and Ranveer Singh, the journey in Bollywood has been great. In Bengali cinema, the journey has spanned from Uttam Kumar, Prosenjit Chatterjee, and Tapas Paul to Dev. And so, he has also sung a song for a Marathi film “Lucky”. “I am sure it will bring a celebratory mood in Maharashtra,” he said, exuding his signature exuberance.